In music, the period called the "Viennese Classic" (sometimes the "First Vienna School" to distinguish it from the "Second Viennese School" of Arnold Schoenberg and his students) lasts from around 1780 until 1827 and was succeeded by the period of romanticism. The core of the Viennese Classic was created by the composers Joseph Haydn, Wolfgang Amadeus Mozart and Ludwig van Beethoven. Some music historians also consider some contemporaries from Austria to be part of the "Viennese Classic" - these contemporaries include the composers Michael Haydn (Joseph′s brother) and Carl Ditters von Dittersdorf. At its time, the tradition of what is considered to be classic today was highly innovative: it combined styles from different schools of composition ranging from Baroque polyphonic compositions to folk music. Geographically, classical music by Haydn, Mozart and Beethoven were very inclusive, too, combining German, French and Italian traditions. The three composers share many features and at the same time, each of them is very distinct and recognisable. Haydn is considered to have left his mark mostly on "Kammermusik" or chamber music with quartets of violinists as well as symphonic concerts. Mozart developed the symphonic traditions further on, but his most significant contribution in terms of innovation was in opera. 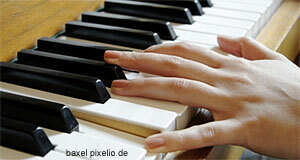 Beethoven′s strong points, in which his style is most directly recognisable, were symphonies and sacral music. Generally speaking, the Viennese Classic made instrumental music as it is heard in symphonies a distinct school within music. As the name says quite rightly, the Viennese Classic was rooted in Austria′s capital. At the time when Joseph Haydn and Wolfgang Amadeus Mozart were active in the Imperial capital, there was already a longstanding musical tradition at the place. This was nourished by the wealthy nobility that competed for the most impressive feasts, palace or music in a very late-Baroque manner. Musicians and composers were often supported by wealthy noblemen and hired for entertainment. "Durch ununterbrochenen Fleiß erhalten sie: Mozarts Geist aus Haydens Händen" („Through uninterrupted diligence you receive Mozart′s spirit from Hayden′s hands!"). This shows how important the social and cultural impact of the Viennese Classic is beyond its artistic significance: Within some 20-odd years, music had developed from some background mean of entertainment during a reception to a highly admired and respected form of art with a high cultural significance in Vienna. Twenty years earlier, Paris had been the capital of opera and London of instrumental concerts - at latest by 1800, Vienna ruled the rankings in pretty much all musical disciplines. The other thing that the quotation of Count von Waldstein shows is the strong tie between Haydn and Mozart - the two interacted quite actively, whereas Beethoven is more of an entity. In fact, as Beethoven increasingly picked up elements from folk music and shaped a melodic tradition typical for romanticism, he is often considered to be a link between Viennese Classic and Romanticism. As the first "superstar" in the history of music (at least according to Austrian pop-singer Falco), Wolfgang Amadeus Mozart was also a European phenomenon. Due to his many tours all around Europe, he contributed to the international exchange of musical styles and traditions. For example, the Viennese Classic was influenced by Georg Friendrich Händel, Johann Sebastian Bach, the masters of the Mannheim school and composers of the Italian and French opera. The musical tradition of Vienna was passed on to the composers of Romanticism, most immediately Johannes Brahms who was considered to be Beethoven′s heir, Franz Liszt, Franz Schubert and the Strauss family. Classical or artistic music still ranks highly in Austria′s cultural life and the public subsidises music festivals, opera houses and concerts heavily.